Gonellart and Images specializes in the REPRODUCTION of contemporary paintings created by multidisciplinary artist LUCIE GONELLA. The collection presented to you in the gallery of images includes a large variety of works with varied techniques and mediums. The artist has been in the arts community for more than 50 years and has extensive experience in various visual arts-related fields. I invite you to visit the "ABOUT" section of her website to learn more about her career. The paintings she presents in the gallery of images prioritize the following techniques: drawing, painting, graphic art, photography and digital art. Although she uses several techniques of expression, her style remains very personal and easily recognizable. The artist is particularly fond of the human figure. She mainly paints colorful and attractive characters that express different moods. Sometimes playful and festive, sometimes meditative, they are an insatiable source of inspiration for the author. Colorfull and modern paintings emerge from these themes that undeniably reflect the personality of the artist. 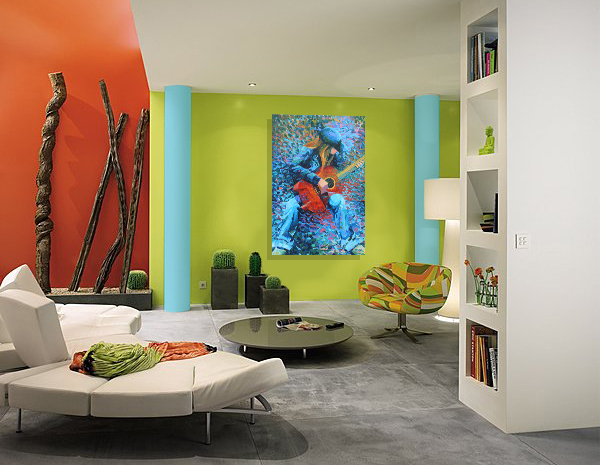 Attractive and colorful abstract paintings are also part of her collection. In order to share her art with a wider audience and to make it more accessible, the artist offers her collection in the form of reproductions. Whether on canvas or on paper, a multitude of choices is offered to you among her repertoire, which is presented in the gallery of images in five (5) distinct categories according to the chosen techniques and the mediums used. No price is shown in the image GALLERY. You will find this information in the online boutique as prices are determined based on the print option and format that you select. In order to offer you optimal results, only the highest-quality, cutting-edge products and equipment are used. Whether on canvas or on paper, the longevity of the reproductions offered to you will exceed 100 years of life and the colors will stand the test of time. PLEASE ALLOW TWO WEEKS FOR ANY PRODUCTION.